Rav Chaim Kramer is largely responsible for introducing Rebbe Nachman’s teachings to today’s generation. 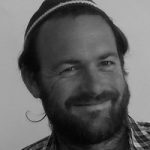 He is a sought-after lecturer on Rebbe Nachman’s teachings by English-speaking congregations around the world. Rav Chaim is the author of “Through Fire and Water”, Crossing the Narrow Bridge, Anatomy of the Soul, This Land is My Land, and many more titles, as well as annotating the entire 15 volume English Edition of Likutey Moharan. 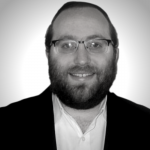 Yossi Katz currently lives in Lakewood, NJ where he runs the BRI American Office. He studied in Beth Medrash Gevoha, as well as the former Breslov Kollel of Lakewood headed by Rabbi Shlomo Goldman. 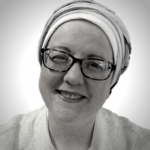 Chaya Rivka Zwolinski is the Director of the first Breslov program for women, BRI Women. She shares Breslov inspiration with women in her classes, workshops, live and online at BreslovCampus.org and in her work as a personal coach. She has authored and co-authored several books including the psychotherapy patient-rights best seller, Therapy Revolution: Find Help, Get Better, and Move On; she writes articles for Breslov.org, BreslovWoman.org, HealthyJewishCooking.com, PsychCentral.com, and numerous other publications. She leads women’s trips to Uman and Jewish Ukraine with BRI Women and the BRI Experience travel program. 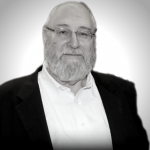 David Mark is a prolific writer and informal educator, focusing on the merger of Chassidic thought and the Land of Israel. He received his rabbinic ordination from Rabbi Brovender and Rabbi Nechemia Goldberg. He is currently one of the writers and editors at Breslov Research Institute. He teaches Breslov Chassidus in various settings in Jerusalem and the wider Judea and Samaria area.